Scottscope: Breaking The Man of Steel: An E-Mail Coversation With Daniel Brown, The Man Behind The Short Film "SUPERMAN: DOOMSDAY"
Breaking The Man of Steel: An E-Mail Coversation With Daniel Brown, The Man Behind The Short Film "SUPERMAN: DOOMSDAY"
To me, the great hope is now that these little 8mm video recorders have come around, some people who wouldn’t normally make movies are going to be making them. Suddenly, one day, some little fat girl in Ohio is going to be the new Mozart, you know, and make a beautiful film with her little father’s camcorder. And for once, the so called “professionalism” about movies will be destroyed forever, and it will really become an art form. – Francis Ford Coppola from Hearts of Darkness: A Filmmakers Apocalypse. That time is now upon us. Daniel Brown is that which so-called “professionals” and “artists” in Hollywood dread most, a resourceful amateur who just might be able to upstage them if given the proper resources. He is the promise of the internet and computer age come to fruition, a regular guy who is able to use widely available tools to create something noteworthy. Daniel Brown has no ambition toward becoming the next Spielberg (Hollywood’s loss). He is simply a guy who likes Superman, and his affinity for the character inspired his short film SUPERMAN: DOOMSDAY (MAN OF STEEL sequel) - The Death of Superman (you can read my brief write-up of it here). Daniel recently took time to confer with me via e-mail about the process that went into making this little gem, as well as the tools that were used. Whereas other filmmakers seem unable to properly depict Kal-El onscreen, Daniel Brown has gone on step further: He has figured out how to break the man of steel. Here is how he did it. Scott Tre: Introduce yourself to my readers and give them a bit of background on you. Scott Tre: Where does your interest and ability in film-making come from? Scott Tre: Do you have any interest in becoming a professional filmmaker? Scott Tre: How hard was it to edit together different scenes and musical scores from different films so seamlessly? Scott Tre: Exactly what is After Effects and why did you choose it to render the FX shots and titles? Daniel Brown: Adobe After Effects is a program that allows you to edit and create motion graphics and visual effects. Prior to using it, I made a Batman 3 fan trailer using Windows Movie Maker and Photoshop. The trailer features Black Mask as a villain, and to make his face black, I used Photoshop to individually add the effect to every frame you see. It was extremely tedious and time consuming. 24 frames a second… you do the math LOL. When I completed the Superman: Doomsday draft in Movie Maker, I went to Photoshop to start to try and transform the Hulk into Doomsday. It didn’t take but 3 frames of work for me to realize it would take me years to finish it that way. So I closed the file and actually gave up on the project at that time. Then a few months later, I purchased a Macbook Pro on Craigslist that had the app preinstalled. I fooled around with it and actually used it to create the slide-show used in my wedding back in January. As I started to get the hang of it, I decided to pick up the project again and found that while it was similar to Photoshop, it was much easier to manipulate the videos with. 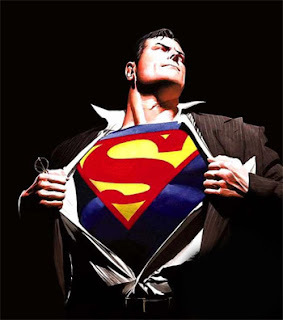 Scott Tre: Of all the superheroes you could have chosen for a short film, why Superman? There have already been so many iterations of the character. Daniel Brown: Well, I’ve always like Batman and Superman. And as I said before, I’ve always had opinions about storylines for movies. While doing the Batman trailer, way before there was any news about Nolan or Snyder being attached to a reboot, I was reading forums about how disappointing Superman Returns was and how Routh sucked in the role and they didn’t want him back. I disagreed with people who said things like that and kept typing these long posts about how things could play out in the Superman universe if the next installment was written well. I always thought Routh was good in the role, but the character needed a better story than what Superman Returns gave us. IMO the movie was brought down by the redundant kryptonite/Lex Luthor storyline, and the love triangle with the Super-kid. It wasn’t terrible, but it certainly didn’t have me on the edge of my seat. One day I got tired of writing, and that’s when I decided to again, put my thoughts in video form for what a sequel could be. Scott Tre: Of all the Superman stories you could have done, why did you choose “The Death of Superman”? Scott Tre: How close did the finished product come to how you initially envisioned it? Daniel Brown: In the beginning, I was only going to make a 2 minute trailer with fast, flashy cuts and a high tempo music track. But after completing that draft, I really didn’t feel anything while watching it. The flashy cuts didn’t really convey the serious tone that I had in mind. So I started to approach it like a game of scrabble. Like when you have 7 letters in front of you, and you know you have a 100pt 7 letter word but you can’t see it yet so you have to move the tiles around to find it. It was a matter of rearranging things in my head until the final vision of the video appeared to me. So the first iteration and the final version were very different. Cumulatively it took about 7 or 8 months to complete. Scott Tre: What advice would give to others who want to try their hand at this sort of thing? What equipment and applications will they need? Daniel Brown: I’d say the most important thing to always remember is to stay true to your ideas, but stay flexible in ways to communicate them. This project started out vastly different than the final result, but the feeling I wanted to convey never changed. You don’t need to have the most up to date equipment, most expensive programs or even SFX to make good videos. There are YouTube video editors like EditNinja, Silverlightsaber and plenty more that use really masterful ways to edit different movies to make cool videos without the need for SFX using just video editors. Many of those editors have different styles and bring something new with each video. Basic apps like Windows Movie Maker on PC and iMovie on Mac are free! I’d only suggest using apps like After Effects when your idea absolutely calls for an FX shot that you cannot accomplish with a basic app. Scott Tre: Do you have any other short films or trailers in the works? Daniel Brown: At the moment no I haven’t started on anything new, I owe it to my wife to spend more time with her and less with Superman LOL However I already have the music and ideas for 2 followup videos to continue and conclude the Superman:Doomsday campaign. I also have ideas for a special Marvel trailer, but I have to play around with it to see if it’s even possible to accomplish. Scott Tre: Is there anything you’d like to say in closing? Daniel Brown:Thank you for this interview, I’m honored to do it. With the work put into this project, I really appreciate all those that have watched and liked the video, I’m glad you enjoyed it and thank you for all the great comments and messages! Stay tuned for more! 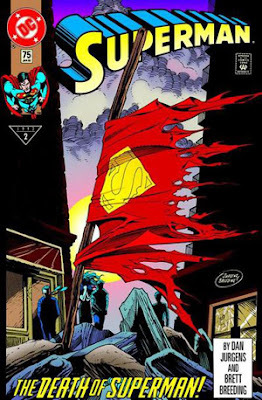 *Here is Daniel Brown's SUPERMAN: DOOMSDAY (MAN OF STEEL sequel) - The Death of Superman in all it's glory. Enjoy! great AE work, awesome video! Although his fanfilm not faithful to the original story, I must admit that is excellent making montages, and the persons must admire the hours he works on it and what it does... I think it's one of the best editors.